At Big Fish, we love to get your feedback! If you would like to write a few words about your recent adventure with us, submit here. Another great adventure with Big Fish Expeditions!! My husband and I went to Isla Mujeres this summer with Andy. This was our first Big fish expedition and it did not disappoint. Andy took care of all the details and making sure we got to where we needed to be so we didn’t have to worry about anything and could just spend time enjoying the sharks. The crew on our boat was the best. They were wonderful at finding the sharks and putting us in a position that would make our viewing of them the most optimal. They also took care to make sure that no sharks were injured with out boat. At the end of the day, we left all our gear on the boat and they took care of it for us so it was clean and ready to use the next day. This eliminated us having to carry it back and fourth and waste time with cleaning our gear every day. Everyday on the boat we saw plenty of sharks and were lucky enough to get to see manta rays as well. One morning I even saw a sea turtle. Magnificent animals, breathtaking trip, highly recommend. Absolutely amazing time with Andy and Big Fish Expeditions! If you’re looking for a shark trip or big animal experience, this is your place. Period. Enjoy! Just returned from my third adventure organized by Big Fish Expeditions. This was my first land based trip with them and the eight days spent in Uganda exceeded all expectations. 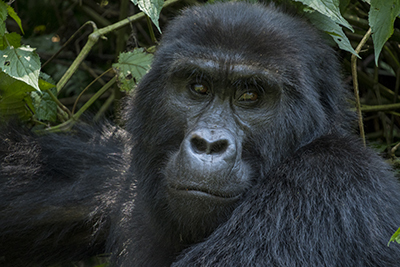 The highlight of the 8 day trip was trekking up Uganda’s Bwindi Impenetrable National Park to see the rare mountain gorillas. But the trip was so much more – each day organized to maximize wildlife encounters including trekking for chimpanzees, walking with wild rhinos, safaris to see elephants, giraffes, hyaenas, antelopes, a riverboat trip for crocodiles and even more animals and countless bird species, a marsh walk for several monkey encounters, amazing photo opps with a fruit bat colony…. This was a trip of a lifetime and I highly recommend this for anyone wanting to see wild Africa and be in a position for some awesome photos opportunities!!! We stayed at four different lodges during the trip, each with its own unique Ugandan charm!!! Fantastic trip!! I absolutely love your trips, your knowledge, your “stories,” and your passion for conservation. I am proud to participate in your trips. Just wanted to let you know how much I enjoyed the trip. The Rocio del Mar was excellent run, great (and plentiful food) and most important, attentive and very professional and proficient dive masters. 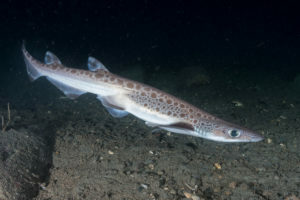 Even though I am an experienced diver in low viz./current environments, I also appreciated the attention to safety given the unique and challenging conditions of being in open ocean with large (6-10 foot) swells. The diving was fantastic and Andy’s knowledge of where and how to find the big fish and even the smaller fishes was boundless. I also truly appreciated the camaraderie and how personable the crew were and enjoyed exchanging stories with Andy and others each day after diving. 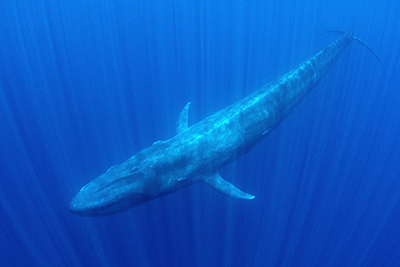 I will recommend this trip and any Big Fish Expeditions to any serious diver I meet. One of the best trips I have done! The diversity of animals was incredible! 16 Molas on one dive! Definitely bringing dry suit next time, the water was VERY cold for a couple of days, but once the Molas came out, forgot all about the temperatures! Best crew on a dive boat and awesome divemasters! Highly recommend this destination and will definitely be going back! Saving up money already! Met a lot of really great people as well! Thanks Andy for another incredible adventure! The two words that come to mind when I describe my first experience with Big Fish Expeditions and tiger sharks: Life Changing. Andy and his team has truly brought experiencing marine life to a forefront and provides an unforgettable experience to novices like myself, as well as to dive veterans looking for incredible underwater shots. It made such a lasting impact on me that I booked my next trip even before I left the boat! I can’t recommend them enough! In April 2017 I did two back-to-back trips with Andy Murch to Tiger Beach in Grand Bahama and the Cat Island for the oceanic white tips. I was really pleased with both trips and Andy did a great job of leading them – there when you needed him for advice or guidance, but never in your face… He really does know what he is doing and does it well, which is a rare combination! 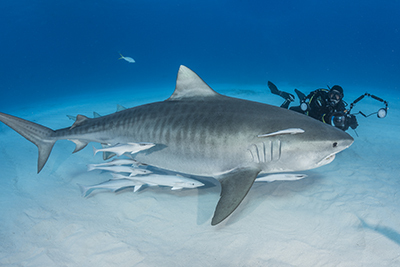 Diving and photographing potentially dangerous animals like tigers, bulls and oceanics has to be done with care – both for the humans and the sharks. Andy understands that connection intuitively and manages it very well. I will definitely use Big Fish again and am really looking forward to the next adventure! Thanks a lot for the photos and this amazing trip. I really enjoyed this unbelievable shark diving at tiger beach with you! The experience with Andy was the best I have ever had. Scuba diving with Great whites in the past has now failed in comparisons to what I have enjoyed with Andy and the Tiger Sharks (plus five other shark species I encountered). Big Fish Expeditions is now part of my new bucket List. The Tiger Beach Trip was perfect, everything went smoothly, from airline to luggage, to a good boat, great crew, good guests, good visibility, great shark action, good weather. All the stars were aligned for a great week, The trips is on my top 6 easy. Another amazing adventure with Big Fish Expeditions! We got unbelievable up-close encounters with great hammerheads, first-time (for us) sightings of blacknose sharks, and so much more! In our experience Andy and the Big Fish team work with top-notch local operators and really know how to set things up so that their guests get the best possible experiences. This trip was no different. We had small groups and multiple turns in the water each day so everyone got the best opportunities to get close to the hammerheads. And yes, they really do get as close as the pictures make it seem – don’t miss this one! 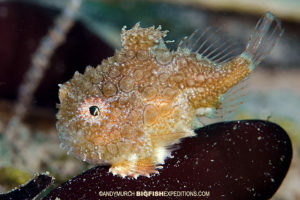 And don’t be intimidated either – whether you’re an experienced underwater photographer or a relatively new diver who just wants to get out there and see the animals, Andy and his team will make you feel welcome and at home. After four Big Fish trips we haven’t been disappointed yet, and we’re already looking forward to the next one! I was recently in Norway for the land based trip, and would like to offer many thanks to some of your staff for making such a great experience. Although nature was against us this year, in as much as the Orca’s and Humpbacks stayed more out to see, Simon, the guide and representative, was fantastic in his efforts to help us have the best experience in the challenging circumstances. He did everything possible to accommodate, and his great personality and humour kept us entertained both night and day, and whom I know I will see again on other trips. And together with the Captain of our boat, Ingel and his wife, no one could have tried harder. Ingel’s experience and knowledge of the area shone through and he persevered until we found pods of Orca’s we could swim with, which was great, he also found the more solitary humpbacks which we were able to follow and film, and also we had a younger Humpback which regularly visited us at the harbour! Thanks to all involved with this trip, including the other guests which made it great, they know who they are! My wife and I went on this trip last month and it was phenomenal. Many close encounters with the Belugas and many more Polar Bears than I expected to see. We had a really good group and a fantastic time was had by all. I have done many trips with Andy Murch over the years and I have always enjoyed them. I have already booked the next trip for my wife and i with Big Fish Expeditions! It was simply amazing, been a while I didnt have so much fun and trill. We saw everything except the sasquatch haha. We had 3 great days swimming with belugas, on someday, we spent 1 hour 45 minutes straight with the belugas, so much action, the belugas was so friendly. We saw so many polar bears from the zodiac and tundra buggy. At night we had the chance to see the northern light, first time for me. On the last day, on the buggy tour, we saw in bonus, arctic fox family, snowy owl, caribou and bald eagle. After an unforgettable trip to Socorro in 2015 with Big Fish Expeditions we did not hesitate to book Tiger Beach with them and were certainly not disappointed. 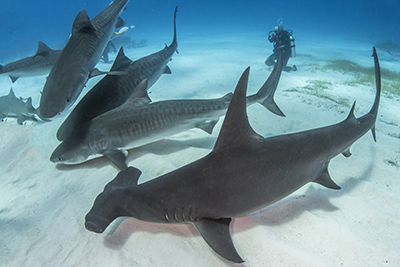 Shark Diving does not get any better than Tiger Beach, surrounded by magnificent Tigers, Lemon, Caribbean Reef and Nurse sharks on every dive in the crystal clear warm waters of the Bahamas. Andy and Laura run meticulously planned trips and cater for all divers needs to ensure everyone is more than satisfied. The boat is very comfortable as a live-aboard and to dive off, the food is great and plentiful and the boat crew and dive guides are knowledgeable and professional. 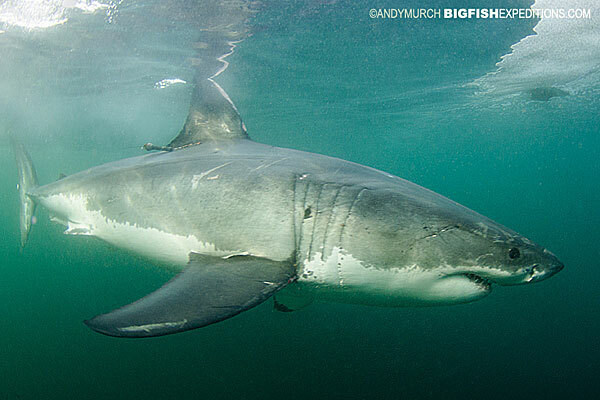 Andy has a wealth of knowledge on sharks and rays and as a professional photographer is generous with useful advice. Will be back! Thank you to Andy and Big Fish Expeditions for another epic trip, my eighth with him now. As usual the Big Fish Encounters were amazing but most importantly Andy, the Crew and all the other guests really made the trip fantastic. Just got back from the Hammerhead trip in Bimini in the Bahamas and wanted to say a huge thank you to Laura McColl and Andy Murch from Big Fish Expeditions for organizing everything! It was a great trip with great people! It is always nice to meet like minded individuals and the passion and love for the ocean that they both show is inspiring! PS thanks you to Neal and Sean on the scuba god as well! This crocodile trip was the most amazing experience I’ve had thus far. I’ve traveled a lot, but nothing was quite as authentic as getting to watch crocodiles up close in their natural habitat. 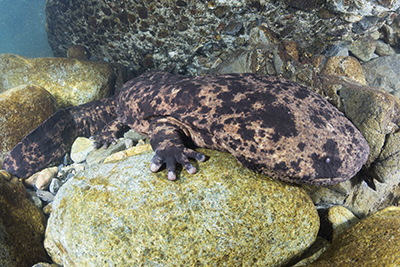 It was absolutely amazing to be in the water with these aquatic reptiles and have the opportunity to photograph and video them right up close. The diving on the trip was excellent. There were a variety of dive sights, including a shipwreck that was only 15 feet deep so it was vibrant and full of sea life. I was worried about going this trip because I had no diving experience aside from my certification, and most of the group had been diving for years, but the guides were very knowledgeable, made sure to explain everything clearly and made me feel safe, which really added to the experience. When we weren’t diving or snorkelling there was great food and the staff was really fun. It really was a trip I’ll never forget. 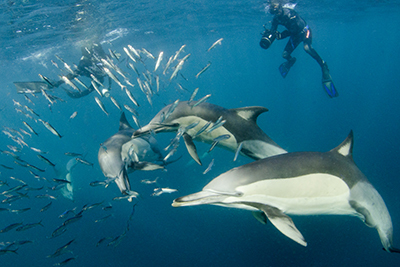 I recommend this trip for divers or animal lovers of any level! 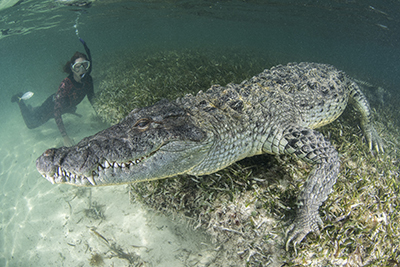 The American Crocodile trip hosted by Big Fish was an unique and incredible experience that I would recommend to anyone seeking adventure. It was truly an honor for the crocodiles to allow us to share the same space. I will definitely be booking more Big Fish Expeditions trips in the future. Thanks for an amazing experience. As a professional underwater photographer, I was thrilled with my recent trip to Isla Mujeres and time in the water with the whale sharks. Thank you so much for all the time and effort put into planning and leading the trip through Big Fish Expeditions! The accommodations were wonderful! The charter boat crews were helpful and the best at locating the whale sharks and, most importantly, giving us so much time with them in the water! The entire experience was everything and more that I expected! I look forward to future trips with both of you! Our trip to Isla Mujeres was a trip of a lifetime. We fell in love with the island, and could not believe the accessibility to the huge numbers of whale sharks. We usually have mediocre luck with adventure trips but this one delivered big time! Once all the splash-N-dash operators left the area it was not unusual to be the only boats on the 100+ sharks. Day 1 had an estimated 200 sharks! It was also not unusual to have to get out of the way of an oncoming shark while swimming with another one. Once everyone on the boat agreed, and only when everyone had had their fill, we’d return to the magnificent beach on the island and relax at one of the beachfront bars drinking inexpensive (but not weak) frozen beverages and tell stories of the day’s activities. The village at Isla Mujeres is home to many charming shops, bars, restaurants, street vendors, and great local inhabitants easily within walking distance. We had a terrific time, and as was the plan, the experience will be one that will stay with me as long as I live. Thanks Andy, for the great trip! I would highly recommend this trip if you love close encounters with sharks! This was my favorite shark dive trip by far and an amazing place to go to photograph sharks. It is hard to beat the quantity sharks (tigers, lemons, reef, and nurse) on every dive, excellent visibility, warm water, relatively shallow depth (typically 20 to 45 feet), as well as the pure adrenaline from seeing large tiger sharks swimming right next to you and looking you in the eyes. The trip leaders and crew were knowledgeable and went out of there way to keep everyone safe. Last, but not least, the food was plentiful, fresh, and delicious (much better than I expected!). BEST TRIP ever! A turn-key operation! From the communication up-front to the travel arrangements at the end of the trip. Truly a Class Act. The Captain to Crew all first rate, well experienced and excellent at keeping you safe, all while having the Dive of a lifetime! This was my forth trip with Big Fish Expeditions and let me say, the team was spot on yet again. Another outstanding trip filled with Great Hammerhead encounters that were nothing short of superb! However as amazing as this trip was, I’ve decided to take a different approach with this review and point out all the negatives for those out there who read reviews and say to themselves “it can’t really be that good! A few things you should all be wary off: At times I found the water was too wet, the sand was too white, the sky was wayyy too blue, and the sharks? Well there was just way too many sharks! One day we had 13 different Great Hammers show up! 13 of them crowding my camera frame, when all I was trying to do was nail a nice crisp Nurse Shark photo! Oh well, there’s always next time. This was my third Big Fish expedition and BFE’s third home run for me. If you want to get up close with great hammerhead sharks, this trip definitely delivers — I’m talking fish eye lens filling, camera bumping close! 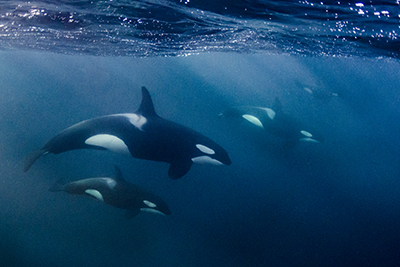 On this trip, we were lucky enough to get in the water with hammers five days straight. 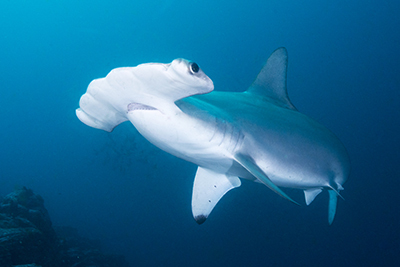 The first two days were filled with hammerhead photo ops and day three was a record-smasher with 10 hammers on one dive and at least 13 for the day. We even watched a research boat from the shark lab track a newly tagged shark around us for most of the day. Day three finished with some surface shots as we baited the hammers up to the back of the boat. We even got cheers from the researchers when one shark broke water with its dorsal fin for a long run at our bait. Very cool! On day four, we started out with a side trip to Triangle Rock for a grey reef shark feed, then stopped by Honeymoon Bay for an impromptu stingray feed. 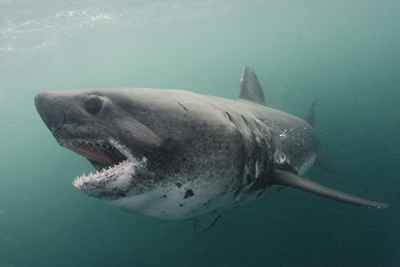 It was an unexpected bit of fun and, as a bonus, we had a few visits from some blacknose sharks. To finish up the day, we went back up to the hammerhead feeding area and got in for a sunset dive that lasted into the darkness where we were able to get some great images of hammers with a striking black background. On our last day, the weather blew in but we managed to get in the water for a quick dive and say, “goodbye for now” to Bimini’s Great Hammerheads. Each of the BFE trips I’ve been on has been a unique and memorable experience, with some common threads…excellent encounters with big fish, well researched and well planned trips with great operators, and especially awesome BFE trip leaders who work with the local operators to ensure the guests get the best experience possible. I can hardly wait for my next BFE trip…Humboldt Squid Diving Safari, here I come!! I’m just coming back from my second big fish expedition in Bimini, after the previous in Cat Island two years ago. As the previous oceanics trip, the hammerheads expedition has been a great trip! We had five long days in the ocean with a lot of big hammers and countless nurse sharks, with an incredible record of 13 different hammerheads in one day and 10 different animals in a single dive!!! The encounters were very close and photo opportunities outstanding! I already saw sometimes scalloped hammerheads in Maldives but, in all honesty, the massive great hammerheads are really impressive! Apart from the hammer action, we had a bonus of beautiful reef diving with countless reef sharks and a small blacknose shark (a new species to add to my collection) and a nice dive with many stingrays and a couple of other blacknose sharks. Unfortunately, we have not meet bull sharks, that are not uncommon in Bimini water but, we know, the ocean is not and aquarium and nothing is guaranteed. In addition to the great dives, the large condo was a few meters away from the dock where we went out each day and the dive boat was perfect ( congrats to the professionalism of Neal Watson and its team of the local dive center). In conclusion, I would like to thank you, together with Giancarlo, Andrea and Deborah, Andy and Laura for another great trip that was a full success. BFE is definitively recommended to the shark fanatic as me and to all lovers of the adventure with big animals. Somebody said the first day : ‘it’s an excursion with friends’. and this is exactly how you experience the social part of Andy’s trips. apart from one person, we had all met before with BFE. If you have made it this far, be good to yourself and join the family. I have a certain experience in traveling to remote places, but Nuku Hiva to me seems pretty close to paradise. we stayed in a lovely family pension with an epic view to the bay and 300m from the diving boat. the dive part was far better than I expected, mainly due to the knowledge and advice from the dive operator. we got to see the melonheaded whales by hundreds. the scuba part we got all the mantas and scalloped hammerheads we could ask for. very good interaction with the hammerheads!! even Andy got a good picture..:-) and a part from this a number of other sharks and rays and dolphins. this was my third trip with Andy and I just booked the next one. 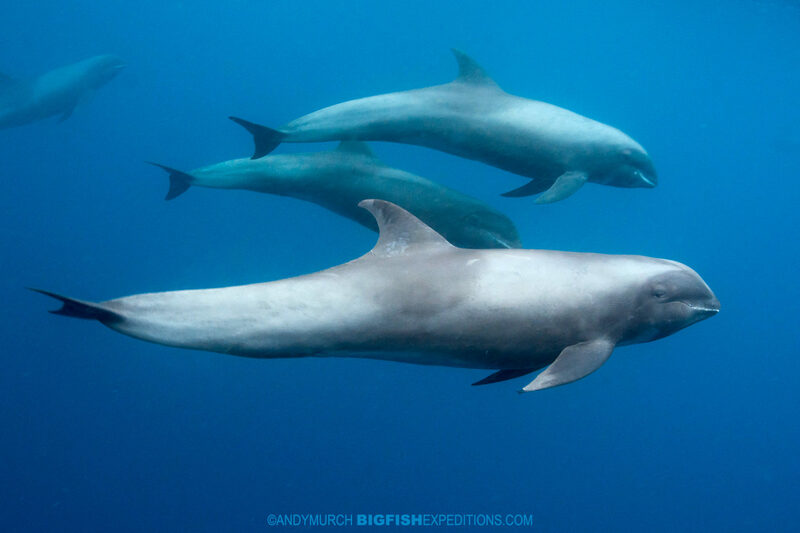 Our expedition to Nuku Hiva in January/February 2015 with Andy Murch of Big Fish Expeditions can be summed up in one word – EPIC. If you are considering a trip with Andy I suggest you just go ahead and place your deposit – then you will be committed to a trip of a lifetime. Not only is Andy an experienced and safety-first leader, he is one of the nicest and most caring men I have had the pleasure of spending a week with. I’m not sure how many trips and weeks he is on the road but the obvious pleasure he still derives from the experience is infectious. Clearly he loves what he does and he does it well. I think his destinations speak for themselves. Thanks for the memories Andy! This was my second trip with Andy and it keeps getting better and better!.. The unique types of trips he runs offer even the most seasoned traveler a great adventure and out of the box experience. The belugas were up close and personal and the additional sightings of polar bears, northern lights and the eskimo dogs were icing on an already tasty cake. I look forward to future “see whats out there kinda trips”. 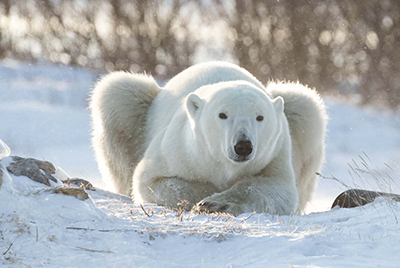 We journeyed to Churchill, Manitoba, to snorkel with beluga whales and as a sideline attraction, see polar bears in the wild. In between these excursions, Andy arranged impromptu day trips wherein we were able to drive as far as the local roads would take us to discover the hidden parts of Churchill. Or we would all stay up until 2AM several nights in a row to try and photograph the northern lights. For some, this trip was a life changing experience, for others one that stirred their soul. Many proclaimed, it was the best trip ever! Indeed, many new friendships were formed with not only fellow trip participants, but also some of the residents in Churchill. As an experienced diving photojournalist who has enjoyed many off the beaten path adventures, this is one I would highly recommend and would return to again in a heartbeat. Thank you! Andy Murch and Big Fish Expeditions for making it all unfold so effortlessly. (Only) my second trip with Andy, but what a trip!!! Unlike a number of the divers on these trips, I’m more a diver than a photographer, so my approach might be slightly different. I have been diving on all continents (except the cold one..:-)) but this trip completely changed my references. On the diving side it was just better than anything I’ve done in French Polynesia, Madagascar, New Zealand et cetera. But Andy’s way of being a guide you exchange with makes such a difference to the ‘stars’ that organize equivalent trips and this makes the atmosphere on board just great. I feel I have 16 new friends that I know I’ll cross paths with again soon. Thanks Laura and Andy and see you soon! Thank you for what was another great big fish expedition. As always everything rocked! Thanks again for a great time to Andy, Laura and Big Fish Expeditions, we are looking forward to our next adventure with you this summer. My first trip with Andy Murch of BigFishExpeditions.com was to Cat Island, Bahamas, to dive and photograph Oceanic White Tips. It was an amazing adventure! First, Andy is very laid back, incredibly organized, and great fun to be with! The crew he arranged on the roomy boat were invaluable. The “12” Oceanic WT female (and most expecting) sharks that came every day were treated with ultimate respect! I could go on and on but know that I’ve signed up for Andy’s Hammerhead Expedition in Bimini Feb 2014 and Socorro Mar 2014! Can’t wait!!! My group had an AMAZING time!!!! I can’t wait to go on another trip! Not only was the shark diving amazing but you guys make the trip fun and easy going. Everything seemed very well organized and the quality of the trip as a whole was top notch! I liked staying at Na Balam much more than I would have at a large traditional hotel. I never imagined we would see so many sharks AND mantas! The mobula rays were a nice surprise as well. I have no complaints or improvement suggestions…. just envy that I can’t do what you all do for a living ;-). Hopefully we’ll see you again soon! Thanks again for an unforgettable trip! I know I speak for myself and everyone in my group when I say that everything about the whale shark trip was absolutely amazing! Great shark diving, great people, great service. Andy and Laura are friendly, passionate about what they do, and work hard to make sure everything runs smoothly. It was a fantastic experience and I would highly recommend it to anyone. I can’t wait to take more Big Fish trips in the future!! …planes, busses, ferries, taxis, dive boats, through every aspect of our trip, Andy and Laura were there making sure things went smoothly. It made the trip much more enjoyable, as their experience from many previous trips made our trip flawless, even laid back! . We are going back next year, that says it all.. Thanks Andy for a totally amazing whale shark trip. You and your boat captains were very professional and so helpful with every aspect of the trip. If anyone ever wonders who is is the best company to see the whale sharks with it has to be Big Fish Expeditions, sign up now for a trip of a lifetime! 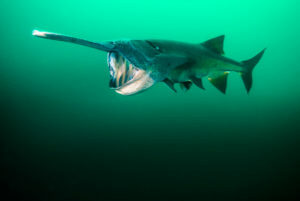 I have been on many Dive trips over the year’s, and the attention to detail on our Big Fish Expedition was noteworthy. The knowledge that Andy shared about the animals, and photographing them far exceeded my expectations. I can’t wait to go back next year! I had the pleasure of returning to Isla Mujeres with Andy Murch of Big Fish Expeditions for the Whale Shark trip this year. It was one of the most enjoyable expeditions I have been on. 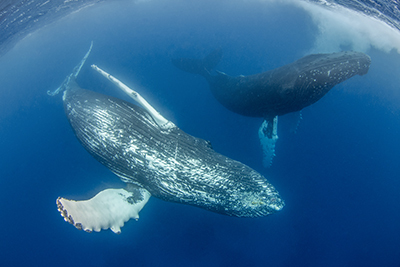 I like to photograph big animals underwater and have been with Andy on several other trips. Andy works very hard to make sure you are presented with every possible opportunity to get shots of the targeted species. In this case, the Whale Sharks. 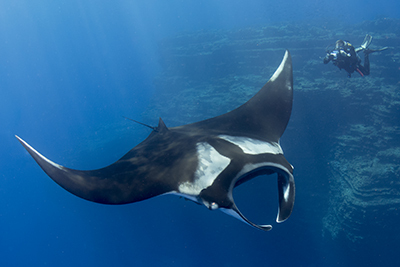 Not only did we have the appearance of hundreds of Whale Sharks this year, but also many Mantas. When you were waiting for a Whale Shark to swim by, and those waits weren’t long, you could swim with the aerobatic Mantas as they looped and whirled around and under the Whale Sharks. On this trip as with others I have done with Andy, he and his staff work with local, experienced, providers to get you into the best situation to interact with the animals. In Isla Mujeres, Andy made sure we were first on site in the morning and had the peak time of day to shoot stills and video of the sharks. Unlike other trips I have been on, Andy ensures you maximize your time in the water rather than getting just a few short and very controlled encounters. Also, the accommodations were clean, comfortable and affordable. 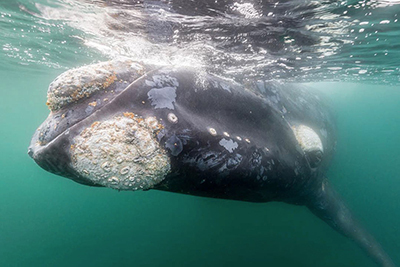 If you are interested in top notch photographs or the emotional high of being very close to such large animals, then Big Fish Expeditions is the operator to go with. Thank you again for the great trip in Cat island. The experience with Oceanics was amazing and all the organization (diving boat, diving crew-Beto overstanding-, boat, resort) was perfect. I hope to join you in other expeditions in the future! I just returned from a week at Tiger Beach and it did not disappoint. It was nice to see old dive friends, meet new dive friends, and to be in the center of lots of shark action with Dolphins, Tigers, Lemons, and Reef sharks. It was awesome, thanks Andy for another great trip. Now it’s off to Cat Island for Oceanic White Tips for a week! This was the first of 3 bookings I’ve made with Andy and bigfishexpeditions.com and it certainly turned out to be a safe bet, so I keenly look forward to the next two. I’ve only had one brief encounter with Whale sharks before and so I was a little concerned as to whether we would find any on the 4 day trip or indeed how long the encounters would be. Well I need not have worried, Day one consisted of whales sharks for 6 hours and if I had gone home after that day I would have been content with the trip, however day 2 (albeit a little slower) and day 3 were also good days but day 4 surpassed even day 1 and the sea was awash with whale sharks, so many that you didn’t know which way to turn. I have hundreds of pictures as well as video footage which I’m still trying to go through. I had an amazing time on your expedition and have to say it was one of the best vacations I’ve taken! Being in the water so close to the whale sharks (and with so many of them) has definitely been one of the coolest things I’ve been able to experience! Thanks so much for organizing! 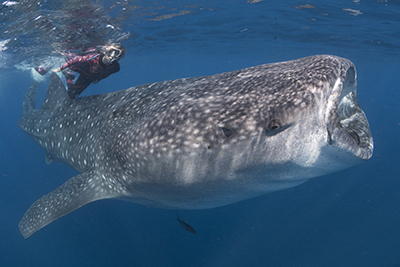 In the deep blue sea and whale sharks everywhere – it was a snorkel adventure of a life time, totally thrilling! Andy’s strategy for getting us quality time with these amazing fish was the essence of our success. The trip was just plain wonderful. Great photos, amazing videos, and new friends. Thanks again Andy! This was my third outing with Andy and it was simply awesome. 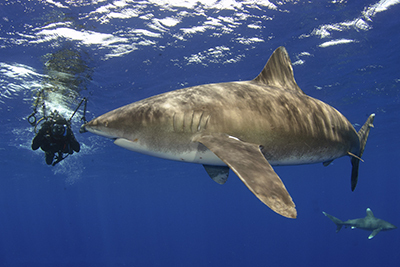 We were hunting photo ops with Oceanic White Tip sharks and Andy came through big time. Our first day we ended up in the water with 12 Oceanics, which was about 11 more than I expected at any one time. We found them every day of the trip. Andy knows where to go, who to take us, and how to do it. If you have limited time like I do, and want to see as much as possible, Andy’s trips are perfect. Out of the three trips I’ve made, we have always seen sharks on every day. This is not to mention the excellent instruction from Andy taking me to a whole new level with my underwater photographic skills. Our trip to Tiger Beach with Big Fish Expeditions was amazing! From super comfortable accommodations, excellent briefings, informative photo seminars to individual coaching, Andy has covered all the bases. And the sharks, there were hundreds of them including nurse sharks, Caribbean reef sharks, lemon sharks and of course the star of the show – tiger sharks. Andy knows all the best spots and all the best people it seems, and I’ve never before or since spent so much time with so many sharks – and after only a few days. 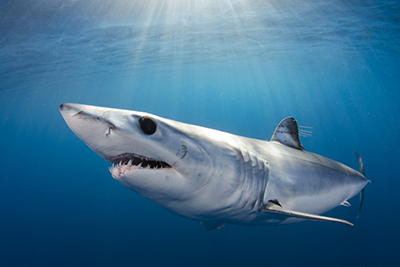 Blues & makos are absolute must-sees, and they’re a lot of fun to photograph – highly recommended. Thumbs up for Big Fish Expeditions! The tiger shark expedition is an adventure I’ll cherish for the rest of my life. A special thanks to Andy for helping me perfect the “lemon snaps”… a series of photos now on my office walls of lemon sharks feeding at the surface that visitors never fail to stare at in fascination. Thank you! We would rather go diving with Andy than with anyone else! His trips are always an adventure and provide far more than expected. He invests the extra time and effort to ensure that everyone is able to see and experience as much as possible ~ even if it takes a little longer than anticipated to catch up with the giant squid! 🙂 On the Sea of Cortez trip, it was nearly impossible to keep up with just how many wonderful sights we shared and on the Malpelo trip, we had such a perfect little group that every day was filled with smiling. 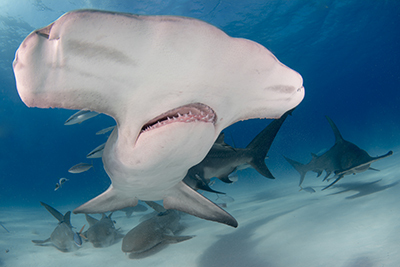 Even the hammerheads, white-tips, and small-tooth sand tigers seemed friendly. Thank you for the recent expedition to Tiger Beach. Had an excellent time with great diving, great people, a great hammerhead and even greater Tiger Sharks. The coast of North Carolina is one of those places that will make you want to get surgically fitted for gills. 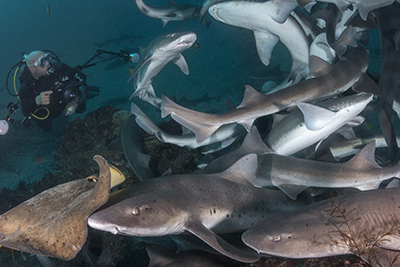 So much life, on some beautiful shallow wrecks – and then ther’re all those sharks! Andy leads a fun, laid-back itinerary and getting pro-tips from the Master Shark Shooter is a definite plus. If this isn’t already on your list, it should be. Our trip to Socorro Island was our first trip with Andy. 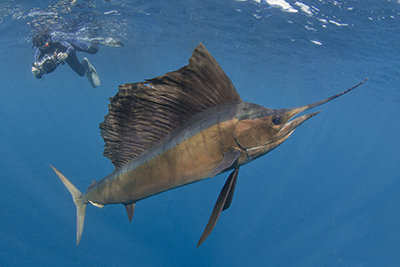 I highly recommend to consider Big Fish Expeditions as your partner for your next dive trip. We had so much fun, we already booked our next trip with Big Fish and it won’t be the last one.